The horse is one of God's magnificent creatures. But since man and horse (Equus Caballus) became acquainted, possibly as long ago as 3600 BC, the horse became different things to different people. From a beast of burden, to personal transportation, to a companion animal, the horse, even in modern times is still a familiar sight when you take a drive out into the country or watch those western movies or attend your local county fair. A well trained and well mannered horse can provide a rewarding avocation for both adults and youngsters. We all can learn something from our horses. Learning to ride is a good form of exercise and a very good character-builder. A good horse can also teach you a lot about yourself. I cannot stress enough however, the need for self-control and a deep sense of compassion toward animals that should be employed when dealing with horses and all animals, for that matter. And I'm glad that most every state in America now has enacted much stricter animal cruelty laws in the past decade or so. It's a pleasure to watch the new breed of modern trainers in action. They know the mind of the horse and have studied its physiology. They get positive results by encouraging the horse to do what comes naturally to the animal. But while we have compassion for our horses and as they many times do become our companions, they are still an animal weighing in at an average of plus or minus of 1,000 pounds or so, with the old 'fight or flight' instinct still deep down in their inner being. When things go bad, they have the potential to put a lot of hurt on you. They are not kitty cats or puppy dogs. They are horses. They are still an entertaining creature, however. 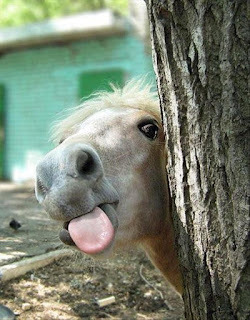 While some who would add to a horses' intelligence by saying it has a sense of humor might be stretching the point a little, you must admit that they do some humorous things at times. I had a Morgan / Quarter Horse mix gelding that sort of fit the description of having a funny bone. His name was Dale. Although he displayed lots of stamina on trail rides and in western competition events, when he was at his home stable, he had the idea that he should only be ridden once a day. After I would ride him in the morning, I'd turn him out to pasture while I went to lunch or whatever. When I came back, if he saw me walking out toward the pasture with a lead rope in my hand, he would go over to where the tallest cat tails and brush would be and sort of hunker down in an apparent attempt to hide from me. And when I first got him, he made such a big deal of not wanting to cross over water... even at the narrowest little creek, he would balk and fuss until with enough urging he would then jump across the water, but never walk across. 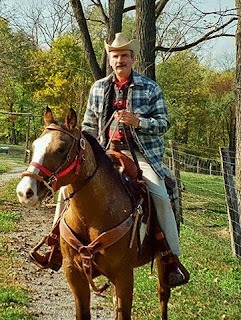 But later on, we (Dale and me) joined a group of riders from the boarding stable, and we loaded our horses into a large livestock truck and headed to a state park that offered miles of somewhat challenging trails. Dale was at his best that day in navigating the trails and even seemed to be enjoying the change of scenery. But then there was a W-I-D-E river to cross. Oh Oh, Dale must have been thinking. Water! I Don't Like To Cross Over WATER! I kept urging him and turning him around, and had him approach the river from different angles, but it looked like it was going to take most of the morning to get across that river. Until Dale realized that hey... all my friends have left me behind. So, the next cue with my heels and my verbal command really put him in gear. Evidently, Dale thought that he could jump all the way across that river, because he made that 'one giant leap' for all horse kind and landed way out in the middle of the river. Then he just stood there for a few seconds to look around, and then just calmly walked over to the other side as if he had done it every day. After that, he never balked at a water crossing again. Living in an age where technology keeps multiplying itself almost on a weekly basis, it seems hard to believe that military arms development regarding shoulder-fired weapons and even handguns and artillery during the 86-year period between our Revolutionary War and the Civil War was so limited. From April 19, 1775, when the first shots were fired in the Revolutionary War, until April 12, 1861, when the Confederate shore batteries opened fire against Fort Sumter, the average grunt in both wars carried mostly the same type of single shot muzzle loading weapons. They were long and heavy and cumbersome to load, and except for the invention of the rifled barrel by the Americans during the Revolutionary War, both the Yankees and the Rebels of the Civil War (for the most part) were stuck in a 1775 firearms time warp. Eventually, as the Civil War progressed, several successful designs of cartridge-fired bullets were developed, along with some single-shot breech-loading rifles such as the Burnside carbine, the Merrill carbine, the Palmer Carbine, Sharps, and several others. There may have not been any reliable repeating rifles until the Henry Model 1860 lever action came into production, and was issued in limited numbers to the Union troops. But the evolution in handgun technology progressed somewhat better during the time between the two wars. Although they still required a rather tedious loading process of each chamber of the cylinder, the early revolvers allowed more firepower than the single-shot pistols of the Revolutionary War, for sure. Yes, the Gattling Gun was put into limited use in battle by the North. But it was more of an artillery piece than a skirmish weapon. But even in its limited use, it's firepower was devastating. And speaking of artillery, there is where the evolution of warfare weaponry really stalled out. For the most part, the field artillery cannon used in the Civil War were of the same type of smooth bore pieces used by both sides in the Revolutionary war. They had to be loaded from the muzzle with powder and projectiles, and ignited with a fuse. Eventually both sides began the task of 're-boring' the cannon to add rifling to give them more accuracy with the new projectiles being developed at the time. But it was the popular old 'Napoleon' smooth bore cannon loaded with a 12-lb. ball which produced a 1,600 yard range, that was the most common artillery piece used on the Civil War battle fields. Samuel Colt was an American inventor, industrialist, businessman, and hunter. He founded Colt's Patent Fire-Arms Manufacturing Company (today Colt's Manufacturing Company) and made the mass production of the revolver commercially viable. Born on July 19, 1814 and deceased on January 10, 1862, Sam led a difficult life in his early years. Because of his curiosity and incessant questioning, his father, Christopher Colt, indentured Sam to an agricultural family. Here he worked on the family farm and went to school. It was during these early years that Sam was introduced to a science book entitled the "Compendium of Knowledge" which provided answers to his many questions. This next short video demonstrates the power of the Colt revolver. Can you even begin to imagine how difficult it would have been to face off in a gun fight with three hombres with only a single handgun if it were not for Colt's revolving cylinder which makes it possible to fire multiple shots without loading the weapon each time? Colt was exceptionally gifted in working with explosives. At the age of 15, in 1829, he advertised an event during the July 4th celebration where he intended to blow up a raft using underwater explosives. Although the raft and the explosion did not perfectly coincide, he did manage to impress many local citizens who were there for the event. After this, Sam's father sent him to bordering school, but during a similar event, there was an accident that caused a fire, thus ending Colt's bordering school opportunity. Colt's father, Christopher Colt, then sent Sam out to sea where he actually got the idea on how to create a weapon that would allow the holder to fire multiple times without loading. He whittled a replica of such a repeat fire weapon while on a voyage to Calcutta, India. For so many years the same “Colt”--associated inextricably with the Peacemaker, the .45, the “gun that won the west”--has spelled gun to the public that one is hard put to realize that there were indeed other excellent weapons in the field. But why have these others failed to strike our imagination in the same way as Colt? Why has Colt become so indissoluble a part of our heritage, our folklore? There is no doubt that the Colt product itself has always been top caliber. 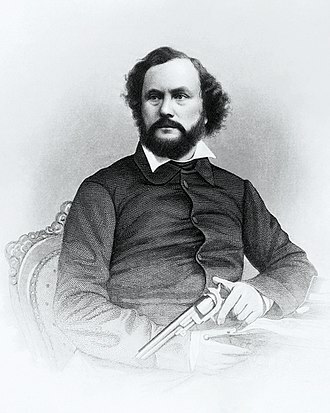 But it's brisk legend must be attributed to that singular founder of the company--Samuel Colt. 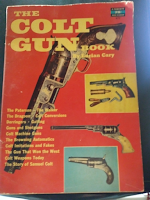 To learn more about the Colt firearm that revolutionized the gun industry in the United States, Lucian Cary authored a book entitled The Colt Gun Book (c)1961. 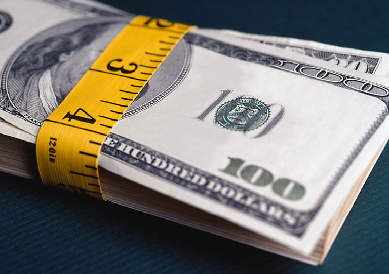 If you'd like to know more, there's a copy available for purchase in our products section: click here. Charlese Bronson, well known for his acting part in Death Wish and 89 other films also had a tremendous acting career performing parts in Western movies and a variety of television series. While many parts were single episodes in which Bronson appeared, there were many in which Charles took a leading role. His career began in 1951 with a part in the movie You're in the Navy Now and ended in 1999 with Family of Cops 3 (Wikipedia, http://bit.ly/2PC7eZr). Charlie Bronson passed on August 30, 2003, pneumonia, lung cancer, and Alzheimer's, at 81 years old. Altogether, he appeared in 90 films. Take some time to watch the following video on the life of Charles Bronson, and what a life if was! "I know what you're thinkin', 'Did he fire six shots or only five?' Well, to tell you the truth, in all this excitement, I kinda lost track myself. Being that this is a .44 Magnum, the most powerful handgun in the world, and would blow your head clean off, you've got to ask yourself one question, 'Do I feel lucky?' Well, do you punk?" Read a review of a story about Dirty Harry and the .44 Magnum handgun in Guns magazine from September 1972, click here.